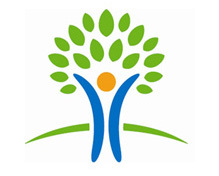 At Progress Preferred Insurance, providing affordable and reliable coverage is our passion and our profession. We are exclusively comprised of highly-trained and experienced specialists who possess a vast knowledge and experience in all aspects of the health and life insurance industry. This enables us to protect and maximize the available benefits of our clients. Call Today! Progress Preferred Insurance helps members have better lifestyle with affordable health plans in North Hollywood and surrounding areas. 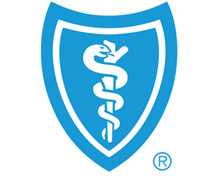 Blue Shield provides access to high-quality care, health insurance, life insurance, dental and vision coverage, through Progress Preferred insurance in North Hollywood, greater Los Angeles area and all across California. Blue Shield supports you in achieving your health goals in many ways, including weight-loss, stress reduction and more. Cigna offers medical insurance and dental coverage with the service you expect in North Hollywood through Progress Preferred Insurance, at a competitive price. With benefits like these, it's easy to see why Progress Preferred Insurance is a better choice for helping to protect the health of you and your family. At Progress Preferred Insurance we work together to change lives, and our local community of North Hollywood, through a goal of 100 percent customer service satisfaction. 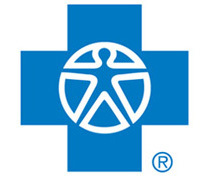 Progress Preferred Insurance offers individual and group Health Insurance in North Hollywood and surrounding areas, across California, through Anthem Blue Cross. No matter what your needs happen to be, Progress Preferred Insurance can find the Health Insurance policy that is right for you and perfect for your budget. Progress Preferred Insurance, Inc. will drive innovation and operational excellence to provide the best value and experience for every customer we are privileged to serve. "The North Hollywood Health Insurance Company provides the best value and experience for every customer they serve." "I been using this company for seven years now and so far there great, good customer service, friendly.. so if u need car, life or health insurance here is the place were you should check out." Many ways to reach us. Call us 1.800-894-6003 or send us an email. Progress Preferred Insurance, Inc, is here to help you. Copyright © 2012 progresspreferred.com | All rights reserved.